* SPRING OFFER – SEE BELOW. Accommodation for up to a total of 18 guests. 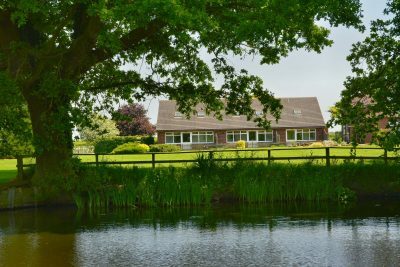 Our cottages are set in beautiful, tranquil open countryside with far reaching scenic views. They are spacious with well equipped kitchens, comfortable furnishings with attention to detail and all maintained to our high standards. There is a large car parking area adjacent to the cottages, a large garden and a wooded area with a small duck/fish lake. Over 2 acres for children to play in ….. or just relax. Complementary Wi-Fi is available in each cottage. We are passionate about providing all our guests, young and old, with the best of service including facilities for the less able/disabled. There are ground floor bedrooms and wet rooms, wide doorways and No Steps Guaranteed! We unfortunately do not allow pets and smoking is not permitted in the cottages.  Beauty Therapy …. treat yourself to a pampering session in your cottage with our mobile therapist Katie Begley. For booking, prices and further information please contact Katie direct on 07974 699405. Pimhill Barn is only a mile up the road. Our cottages, with the peaceful location, beautiful lawns and lake offer an ideal location for wedding guests to completely relax before and after the very special day. It is also a perfect setting to capture photographs of the wonderful memories. Things To Do & Places to Go! The green countryside of Shropshire is one of England’s best-kept secrets and indeed it is known as England’s secret country. 5 miles north from the historic town of Shrewsbury, Newton Meadows is ideally located to explore Shropshire and beyond. So whether you want a a peaceful away-from-it-all break, a family holiday with loads for the adults and kids to do, and great food it’s available for you! Have a browse here to help plan your holiday itinerary. We are a family run business committed to ensuring all who visit us have a great experience and go away with life-long memories and a desire to return in the future!